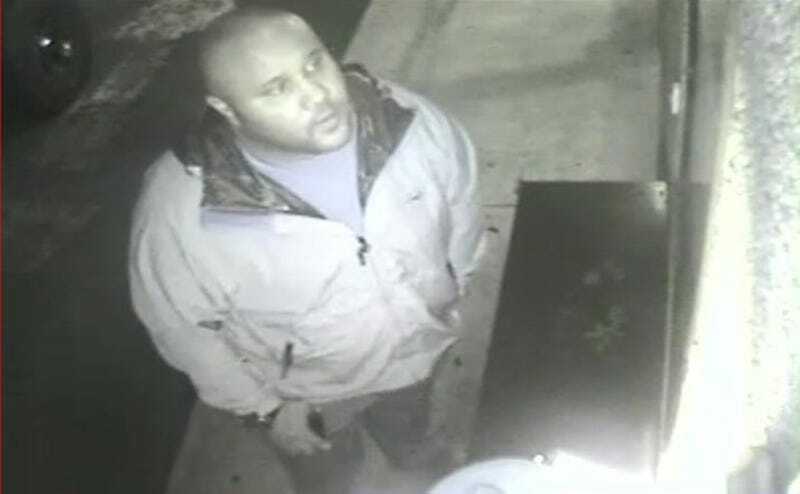 Christopher Dorner, the ex-LAPD cop who allegedly killed three people has been on the run, successfully evading police, for over a week. To finally track him down, it seems that law enforcement is pulling out all the stops. According to the Express, Dorner is now a target for drones, among the first ever on U.S. soil. The thermal imaging cameras the drones use may be our only hope of finding him. On the ground, it's like looking for a needle in a haystack. Riverside Police Chief Sergio Diaz, a joint leader of the force tasked with finding Dorner, has confirmed—though not explicitly—and is quoted as saying "We are using all the tools at our disposal." And a third, vague conformation comes from Customs and Border Patrol spokesman Ralph DeSio who is quoted as saying the agency is on the "forefront of domestic use of drones by law enforcement," while declining to elaborate further. It wouldn't be the first time drones have ever been involved in a law enforcement operation in the U.S. As early as 2011 there was an incident in which Predator drones hunted down fugitives and directly lead to their ultimate arrest. Still, the practice is far from widespread. Presumably, the drones looking for Dorner's heat signature are unarmed. Presumably.